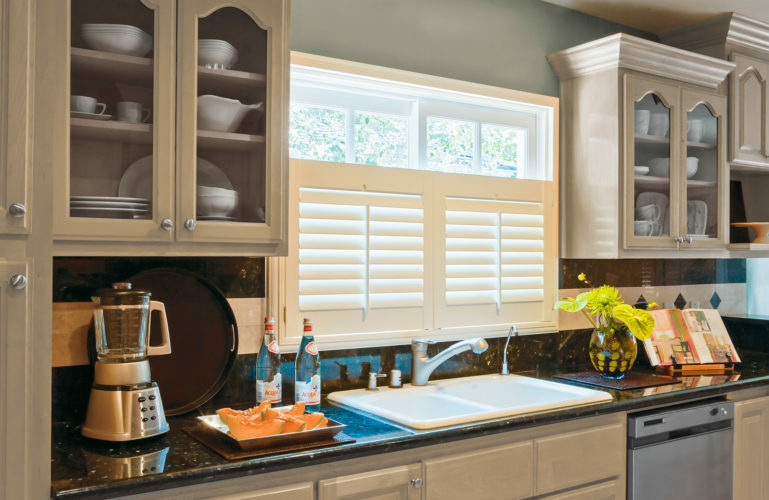 With the top portion of your window left open to natural light and the bottom portion covered, café style shutters are a stunning feature in any room. Curtains or blinds can be used in conjunction to cover the upper portion of the window, adding to their versatility. A popular choice for restaurants, cafés and for rooms where privacy is less of an issue, our expert team will help customise yours to get the final design you always dreamed of. Only covering the lower portion of the window, café style shutters aren’t ideal where total privacy or darkness is required. Elsewhere, they can make a stunning statement. Traditionally found in period Edwardian, Georgian and Victorian homes, they can be dressed with curtains or blinds for a classic look. That doesn’t mean to say they look out of place in contemporary properties; they look great in modern homes too, as well as complementing other features like stained glass. 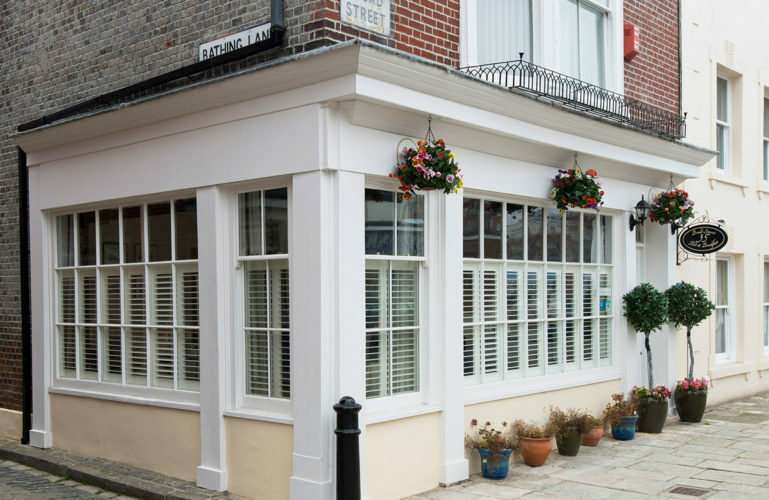 Usually covering up to half of the height of the window, our café style shutters can be made taller if desired, increasing privacy levels for rooms where it’s necessary. Additional curtains or blinds can not only add character, they can help with the control of light through the upper portion of the window. After being expertly measured and made, our café style plantation shutters are hinged to a fixed frame during installation for sturdiness. We have six different material options for our shutter range. From MDF and hardwood, through to water resistant ABS, our team will help you choose the best option to suit your space. 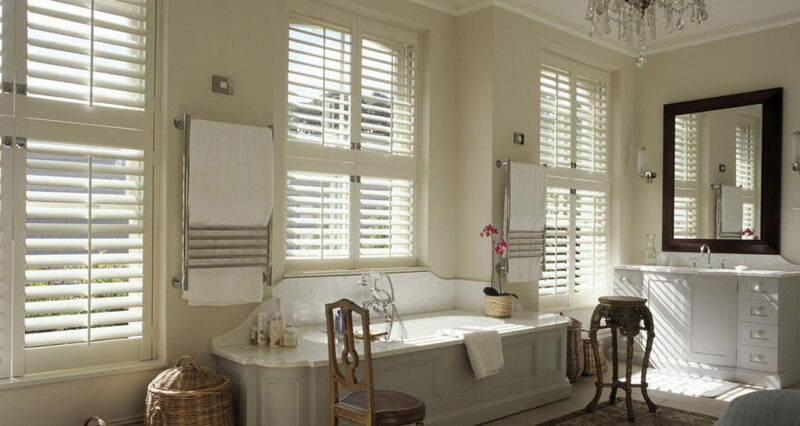 There are a variety of finishes available for your shutters. The selection includes beautiful paints, stains and varnishes in a range of colours. Custom colours are also an option. The choice of louvre is essential to creating the perfect look. Our experts will help you choose the right size for your shutters, depending on your style and the depth of the shutter frame. Full height shutters can often be mistaken for not being so versatile but this is actually not true. With the option of manufacturing your shutters with a mid rail for no extra fee, full height shutters will then allow you to manoeuvre slats separately top and bottom. This means you can open the top section of louvres to allow light whilst tilting the bottom section of louvres to shade or provide you with privacy when needed. 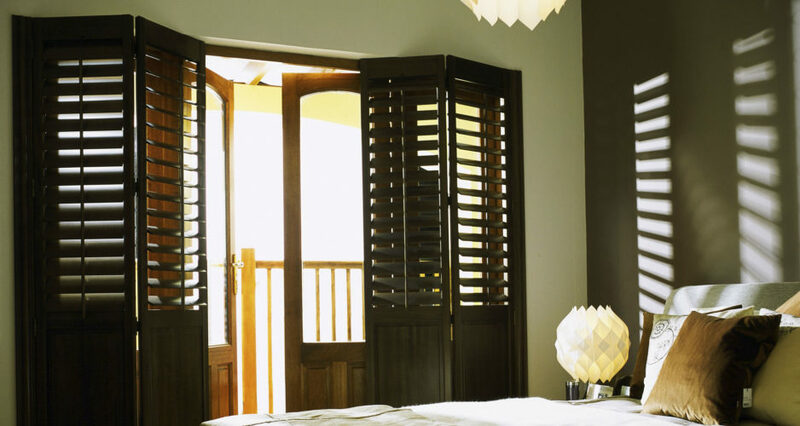 All of our shutters are hinged to a frame and this style is no different. 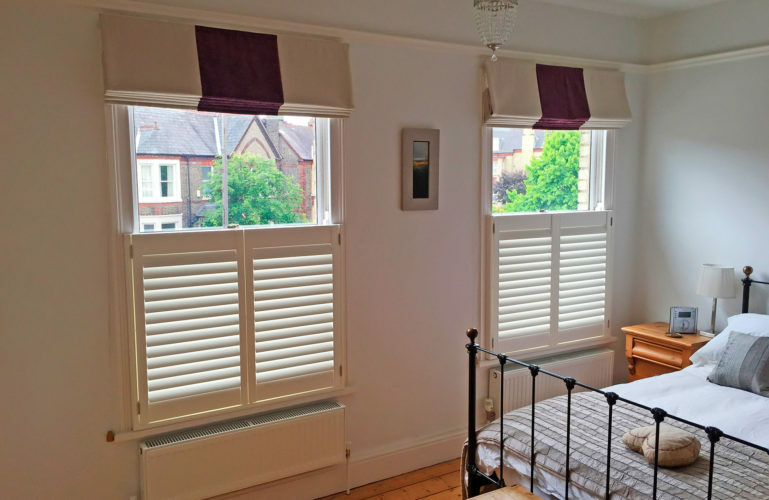 This also means that the shutters can easily be folded back revealing the whole of your window behind whilst allowing maximum light and ventilation. When it comes to energy efficiency, shutters are proven to be a much better thermal insulator than other window dressings, like curtains, blinds or drapes. Not only that, wood is a better insulator of heat than glass, so window shutters can actually be more efficient than additional glazing. Because they fully cover the whole window with timber, full height shutters are one of the most efficient styles available, and could help reduce energy bills during colder months. 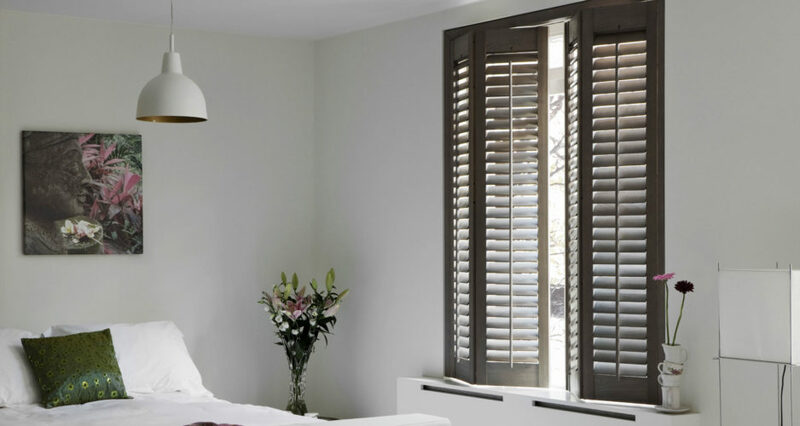 During your free home consultation, our team will help you decide the style of your shutters, as well as any customisation options required. Once we have your dream designs back at our workshop, our expert joiners will craft your shutters in your vision, exactly as specified. The whole process, from consultation to installation, takes between 6-10 weeks – you can find out more detail here. 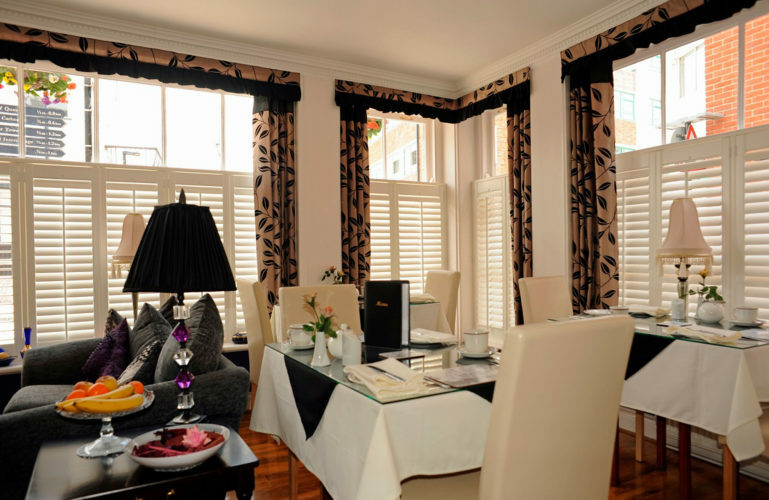 Shutters attract less dust and dirt than curtains or drapes but they still need regular cleaning and maintenance to keep them looking at their best – although this is still a relatively easy job compared to other window dressings. Both lamb’s wool and ostrich feather dusters can be used to clean all types of shutter materials including MDF, faux wood and hardwood. Their softness ensures that the finish isn’t damaged during cleaning and they can easily get into harder to reach areas. To clean, tilt the slats downwards and dust off the surface in the same direction. Do this on one side, before reversing the slats to dust the opposite side. Make sure you dust your shutters before using a damp cloth to wipe the slats. This will help prevent any debris or other particles from sticking to your shutters. Using a dry, clean cloth, gently rub down the entire shutter and frame, before using a damp cloth (warm water) to again wipe over all visible surfaces. Do not use cleaning solutions on your shutters. They can potentially damage the finish and/or the materials your shutters are made from. Do not spray directly onto the shutters themselves. Once complete, wipe over any damp surfaces with another dry, clean cloth. To avoid leaving marks or stains, never allow liquid to dry on the surface of your shutters. 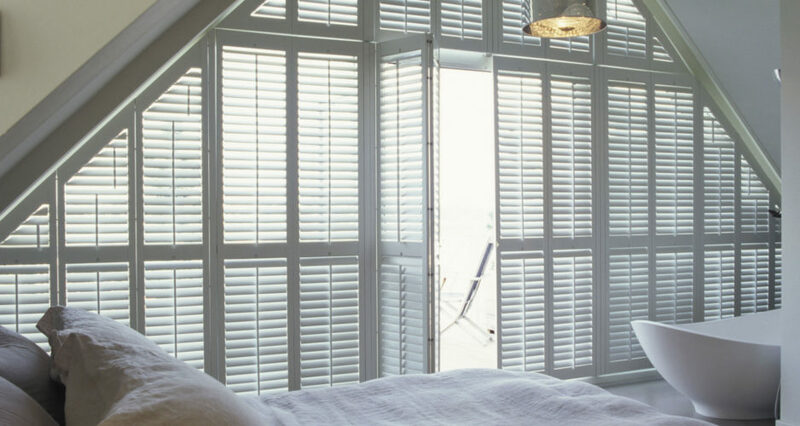 Speak to one of our shutter experts today and arrange a full quote and your free home consultation. Café style shutters not for you?